At 9:00 am meet with our chef Massimo at Porta Messina for a little coffee break. The tour will begin at the Taormina market with the explanation of the displayed products and how they can be handled. After the explanation, the chef will buy the ingredients that you need for the lesson. Once arrived at the restaurant you will find a table with all the tools you need to start cooking and an apron. Let’s begin now! 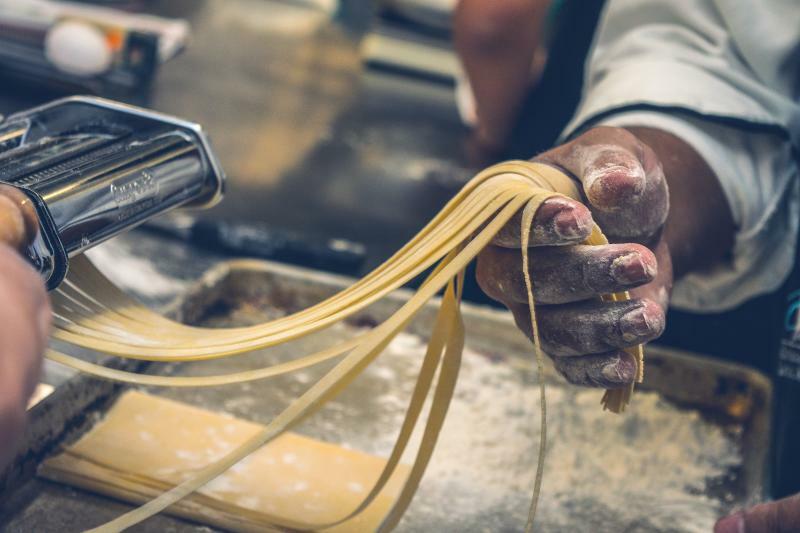 You will learn how to make homemade pasta in the traditional way. After that, you will make the “Caponata” with the vegetables bought at the market. During the lesson, you will learn and make other different dishes from the Sicilian culinary tradition such as fresh sardines, zucchini flowers and more. Once everything will be done, you will sit at a table where you will enjoy all the dishes you prepared along with a selection of Sicilian wines and liquors. Mineral water and coffee are included. To all the participants will be given a nice recipe in English and a certificate of participation from the Chef.